El Al Israel Airlines announced it officially launched its new fast, reliable commercial in-flight Wi-Fi service, powered by global communications company, Viasat. El Al was Viasat’s European launch customer. Since first announcing their relationship, both companies undertook broad market studies focused on in-flight Wi-Fi passenger demand, engagement and service offerings, including a customer beta phase to determine internet package types. El Al also began to re-energize its fleet taking on new Boeing 787 Dreamliners—a recent addition to Viasat’s certified platforms. As of today, 15 El Al aircraft have been outfitted with Viasat’s latest equipment, providing high-speed connectivity to El Al’s mix of Boeing 787 Dreamliners, Boeing 737-900 aircraft and Boeing 737-800 planes. By mid-2020, EL AL expects to have the majority of its fleet connected with the Viasat service. Earlier this week, El Al held its “inaugural high-speed Wi-Fi service flight,” which flew from Tel Aviv to Paris on one of its new Dreamliner aircraft. There were 128 devices connected—many that were streaming movies, videos, music and even the World Cup semifinal. More than half of the passengers were filming and streaming videos—some via Facebook Live, while others were capturing and uploading videos and pictures of their journey, which they posted to multiple social media sites from Facebook and Instagram to Twitter. Basic: Passengers can use their smartphones and tablets for instant messaging applications such as WhatsApp, to access email and browse El Al’s free sites. The package is free during the launch period. Social: This package builds on the Basic plan, letting passengers use their smartphones and tablets to access instant messaging applications, email, free site browsing and for viewing short videos of up to three minutes. This package cost per passenger per flight is $9.99, with discounted rates for Matmid Frequent Flyers and FLYCARD holders. Business: This premium plan lets passengers use their smartphones, tablets and laptops for instant messaging, email and free site browsing. Unlike the other plans, users of the Business package gain additional connectivity capabilities, including streaming movies, music and more as well as VPN access. Package cost per passenger per flight is $19.99, also with discounted rates for Matmid Frequent Flyers and FLYCARD holders. During the introductory trial period for international flights from Europe to North America, El Al will offer the service free of charge until the fourth quarter of 2018. Viasat is a global communications company that believes everyone and everything in the world can be connected. For more than 30 years, Viasat has helped shape how consumers, businesses, governments and militaries around the world communicate. Today, the Company is developing the ultimate global communications network to power high-quality, secure, affordable, fast connections to impact people’s lives anywhere they are—on the ground, in the air or at sea. Copyright Photo: El Al Israel Airlines Boeing 787-9 Dreamliner 4X-EDB (msn 42117) LHR (SPA). Image: 941028. This entry was posted in El Al Israel Airlines and tagged 4X-EDB, Boeing 787-9 Dreamliner, El Al Israel Airlines, msn 42117 on July 12, 2018 by Bruce Drum. El Al Israel Airlines (Tel Aviv) announced today it will begin nonstop service from Tel Aviv to San Francisco in the fourth quarter of 2018. The new route will operate three days a week with the new Boeing 787-9 Dreamliner. El Al will compete against United Airlines. 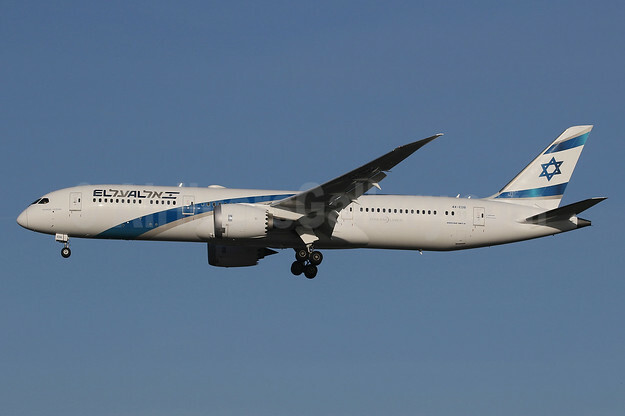 El Al is planning to add more new long-range routes as more Dreamliners are delivered. El Al has 16 on order. In other news, El Al is discontinuing its lower fare Up by El Al service to five destinations in Europe. 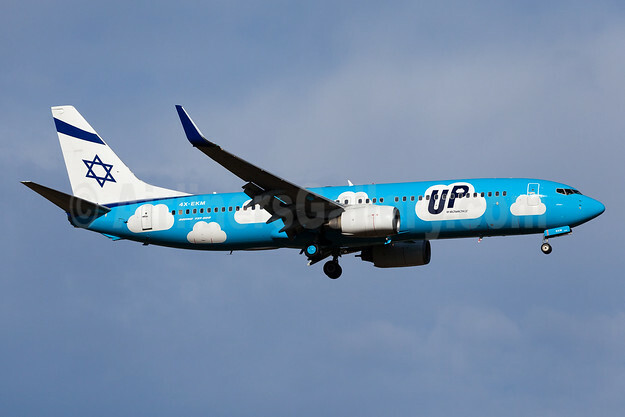 The Up brand will be retired in 2018 and all European flights will be operated under the El Al brand. The last Up-branded flight will be October 14, 2018. On October 15, 2018 all flights will be operated as El Al flights. Up offers inexpensive flights to five main European destinations – Berlin, Prague, Budapest, Larnaca and Kiev. El Al start Up service on March 30, 2014. The Boeing 737 fleet is also being refurbished and is expected to be finished in 2019. 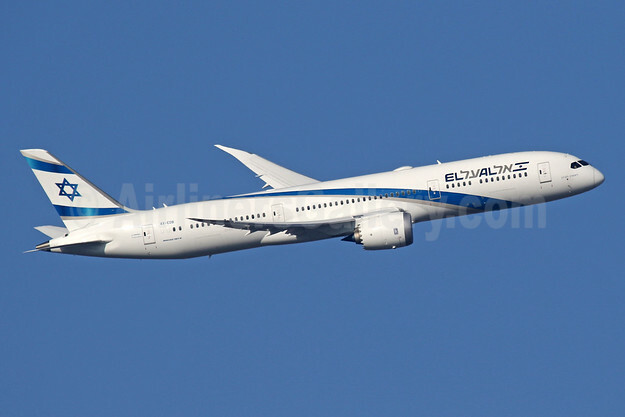 Top Copyright Photo: El Al Israel Airlines Boeing 787-9 Dreamliner 4X-EDB (msn 42117) LHR (SPA). Image: 940341. Bottom Copyright Photo: Up by El Al (El Al Israel Airlines) Boeing 737-804 WL 4X-EKM (msn 30465) MUC (Arnd Wolf). Image: 922116. This entry was posted in El Al Israel Airlines, Up and tagged 4X-EDB, 4X-EKM, Boeing 737-804 WL, Boeing 787-9 Dreamliner, El Al Israel Airlines, LHR, msn 30465, msn 42117, MUC, Up by El Al (El Al Israel Airlines) on January 3, 2018 by Bruce Drum.